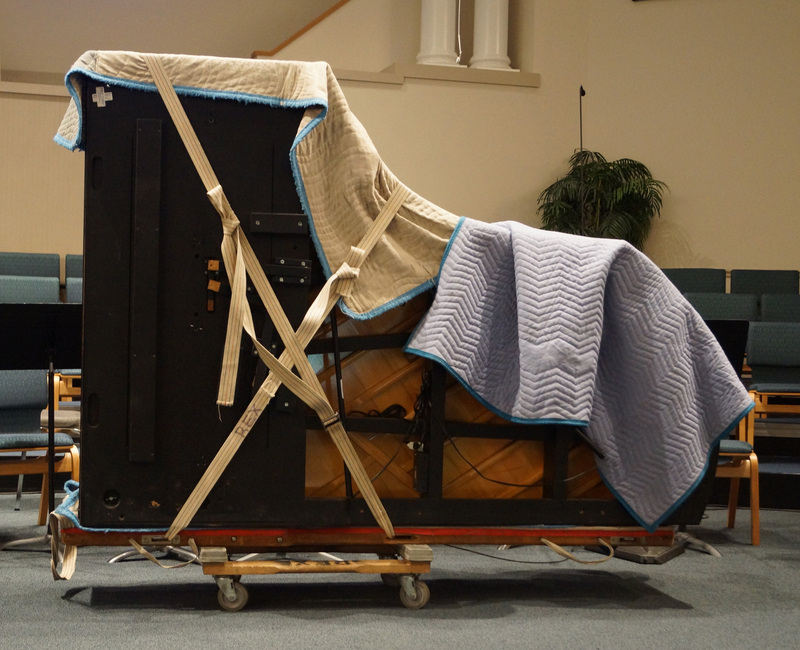 Protect your piano by hiring an experienced, professional piano mover who uses specialized equipment and trained personnel to ensure a smooth, trouble free transfer of your instrument, whether it be cross country or room to room. A piano is a complex musical instrument comprised of over 8,000 individual parts, not just another piece of heavy furniture. Weighing in at 500 – 1000+ lbs, and moving it without injury to people, property or the instrument itself can be hazardous when attempted by the inexperienced. The Environment: number of steps/height & width; railings; landings; hallways with turns; floor coverings; paved walkways/driveways/street, etc. A standard move is typically all smooth surfaces (inside and out), doorsill, no railings, steps or hallways/turns to negotiate. All of these factors are necessary to determine the proper equipment to use, the number of personnel needed, and the approach to take to safely deliver and setup your instrument. In addition to arranging for your local move, we can assist in arranging to have your piano delivered cross country by professional piano movers who specialize in long distance piano moves. Give us a call – We’ll be happy to assist!